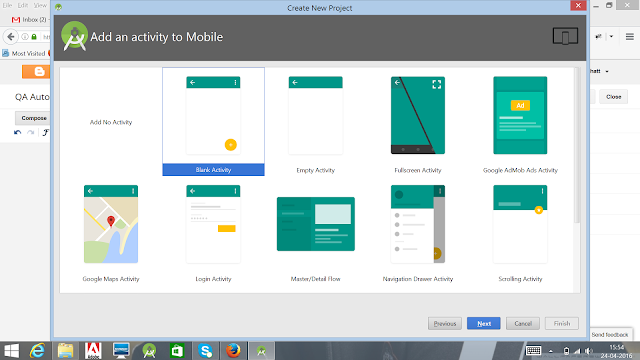 Now a days almost all web applications have mobile applications and hence testers prefer to write test suits in one common place. 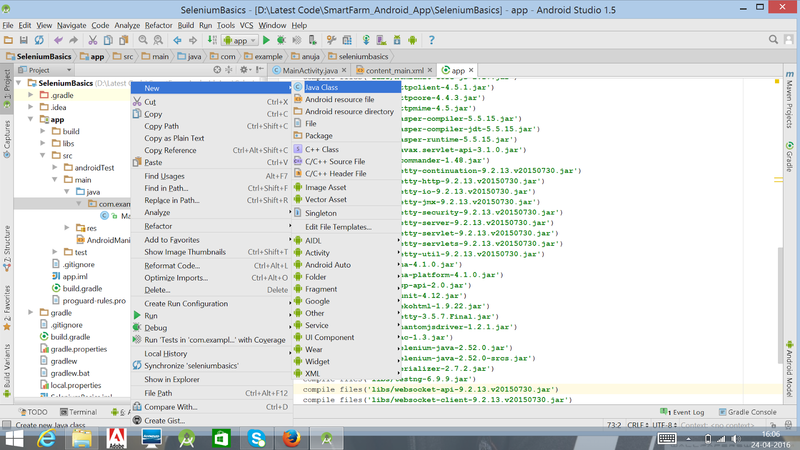 We can setup selenium in Android Studio so that we can write and run our mobile application plus web application test suits at one place.The management and execution of test cases becomes very efficient. 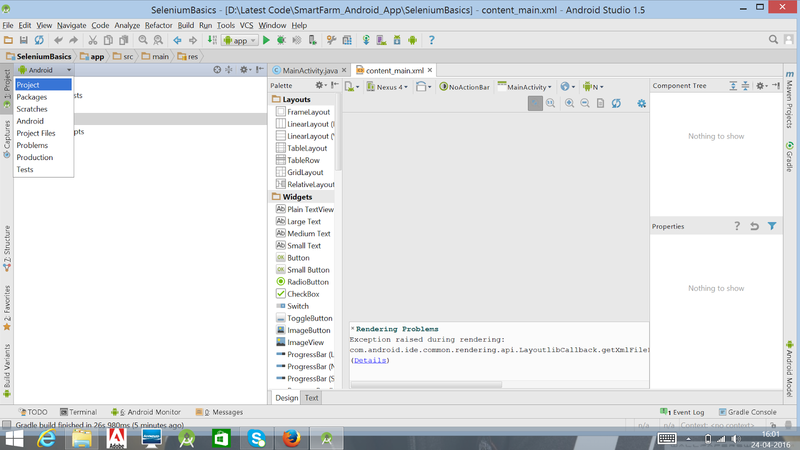 If you agree with me and want to know how to setup Selenium in Android Studio then this blog post is for you. Please fallow the steps one by one and you will be able to complete your setup quickly. 4. 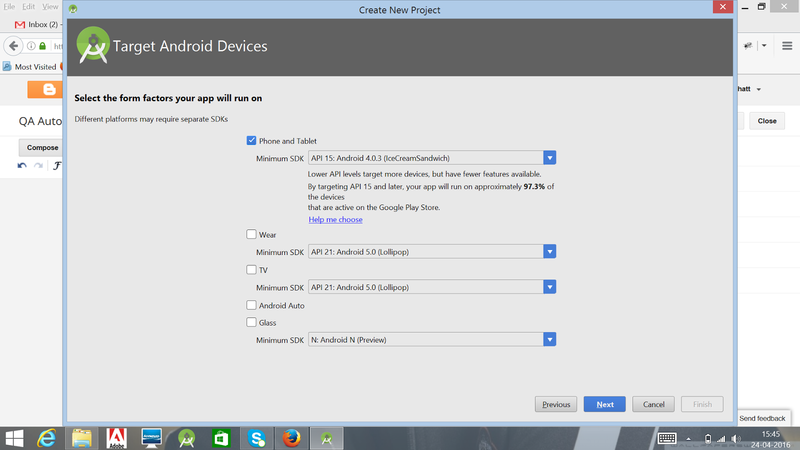 Then click on Next after selecting Minimum SDK version. 7. Change project structure from Android to Project. 9. 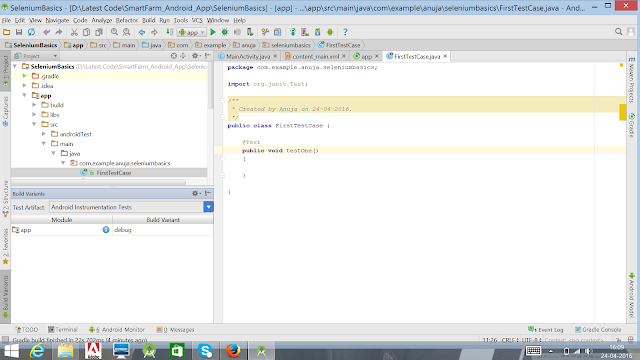 Select all jars and right click -> click on Add as Library and let it complete the gradle sync successfully. 11. 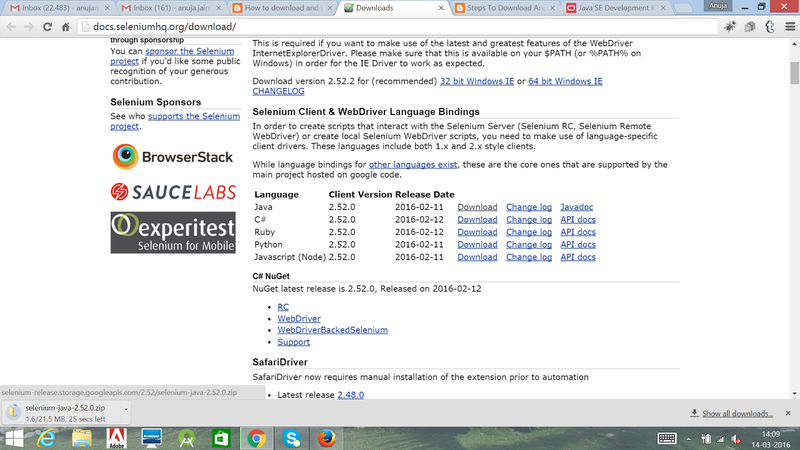 Below is the basic selenium test case to open the website in the browser. Copy this code in your java class. 12. 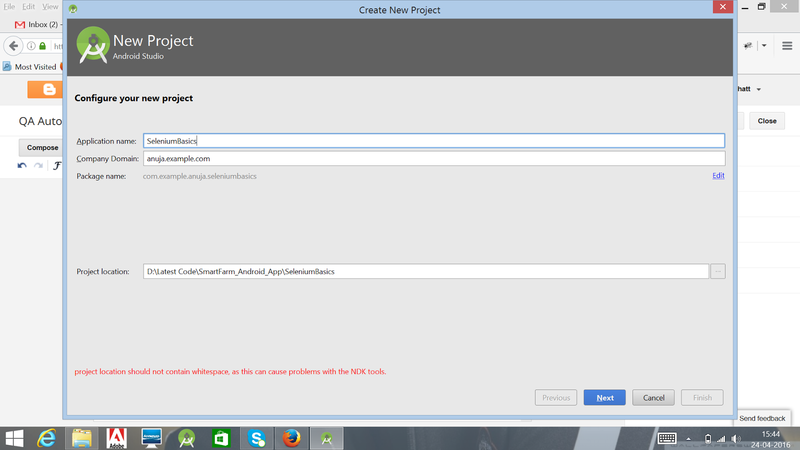 Click on Build Variants on the left side and change Test Artifacts to Unit Test and we are going to are going to write and run junit test. 13. 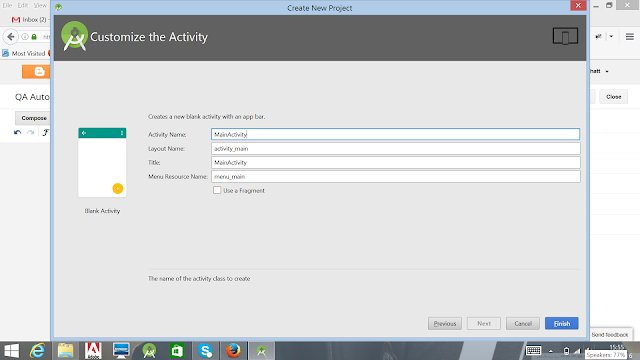 Then right click on your javaclass and click on run. 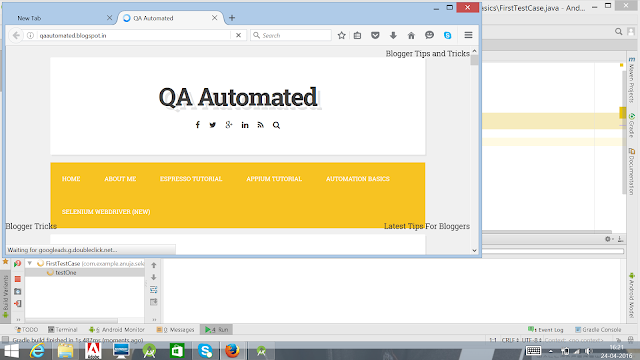 You can see that Test Case launches firefox browser and opens the given link. 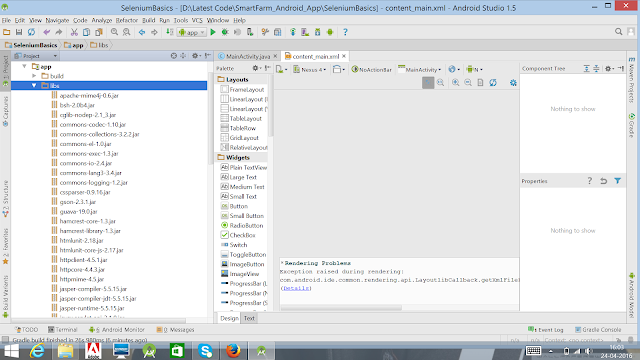 Now you have sucessfully configured Android Studio with Selenium WebDriver and ran your first Test case. In case if you have any questions or doubts do post in comments. 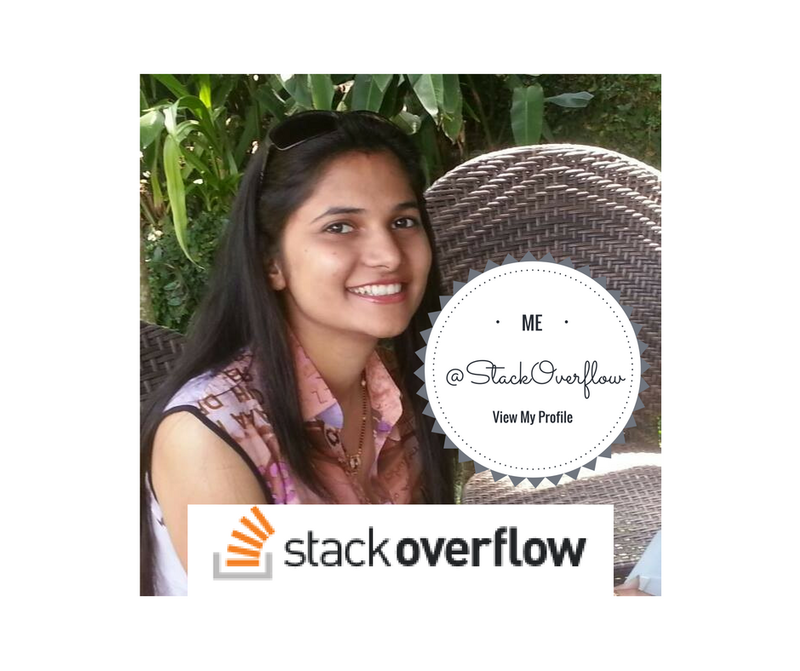 I will try my level best to answer your queries. 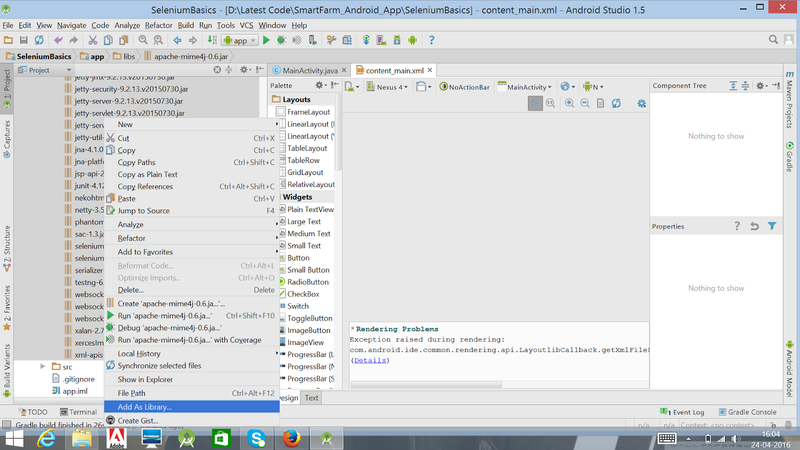 Note - Learn More About Android Studio Functionality Usage HERE. We have provided the practical training in the real time scenarios. Our trainers have strong knowledge in this field. Thanks for this blog. provided great information. All the details are explained clearly with the great explanation. Thanks for this wonderful blog. Step by step processes execution is given clearly.Know the details about the different thing. Does someone know how to solve? Thanks! Wonderful suggestions and guidance thanks a lot for the useful information's. 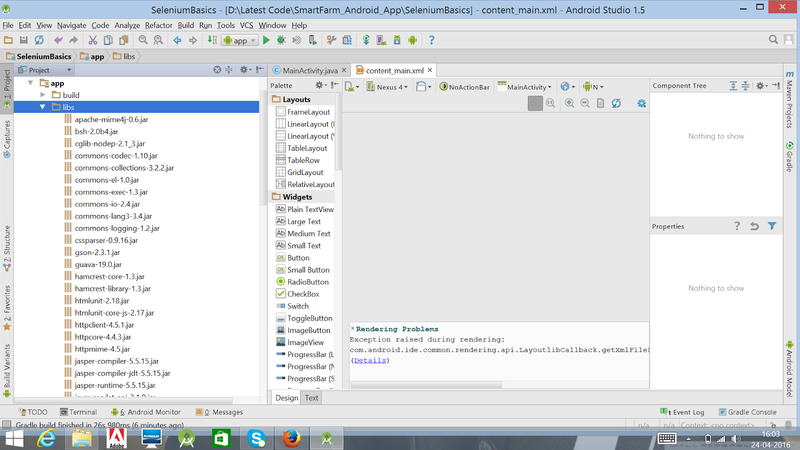 please share source code android studio . Hi, the information you provided here is very informative and useful for me. 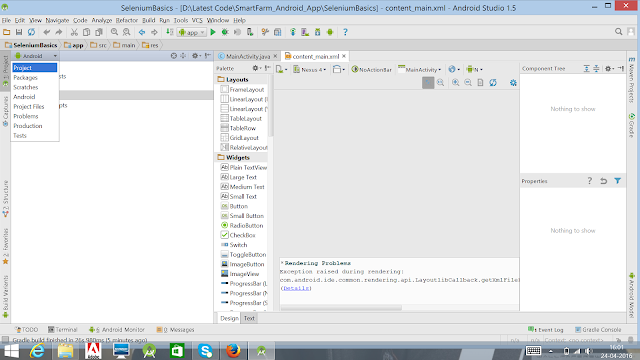 If anyone interested to learn Selenium Training in Bangalore. Howdy a dedication of gratefulness is all together for the amazing offer and it will be basic for a couple of individuals who are looking for after down best site building affiliation or so far working with page sorting out company.We in like way give quality Web Design and Web change advantage at sensible cost . Your good knowledge and kindness in playing with all the pieces were very useful. 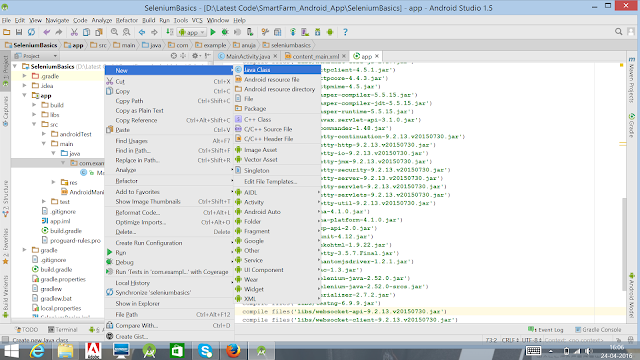 I don’t know what I would have done if I had not encountered such a step like this.selenium training in chennai. Thank you and good luck for the upcoming articles mobile website builder. I have just been reading through it and I find it very valuable and informative, thanks for sharing.for information regarding Brochure Designing service please visit to the link. Much obliged to you such a great amount for this great data! Woww Thank you for the amazing information u have shared. that was very useful for me. do share more information. Click the link to know more exciting information. This content was very useful and informative. POst more information. Thank you for the informative blog!! do visit the below link for information. Shall we work with TestNG rather than Junit ? . is if possible to add testng lib files ? There is no words to express about your post. I agree with all your information. Also, extremely happy to share these details to my college friends. Interesting post, Thanks for sharing blog with us. This is a great article, it gave lots of information. Keep sharing. Biggest thanks to sharing most important information about selenium web drive with great pictures. 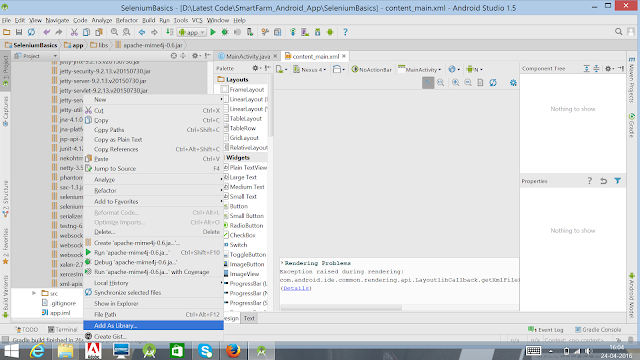 Also, it is very useful to understand how to setup driver in android studio. Nice job. Nice post. Thanks for sharing! I want people to know just how good this information. It’s interesting content and Great work. Very useful information and it is very useful. 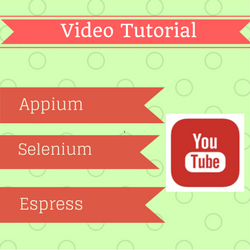 The post is very helpful and informative on selenium. You have made it interesting by adding as well. The above article seems so informative. This helps people like us to understand the concept of selenium for our Selenium training in chennai Please do share more informations and thanks a lot.